How often do you run into a situation in life and think to yourself, ”Nobody ever prepared me for this?”Over the past years, people from all over the world have already suffered from a natural disaster, and still the majority of people may not be completely prepared for one if it strikes their community…. The Federal Emergency Management Agency in cooperation with the American Red Cross and U.S. Department of Agriculture states that if an earthquake, hurricane, tornado or other disaster strikes your community, you might not have access to food, water, and electricity for days, or even weeks. By taking some time to store emergency food and water supplies, you can provide for your entire family. Food storage is something that is typically only thought about in a time of need. You are then stuck in a panic at the grocery store with every other person in your town, grasping at straws for meal plans, while fighting off people to gather the ingredients you need to make it happen. 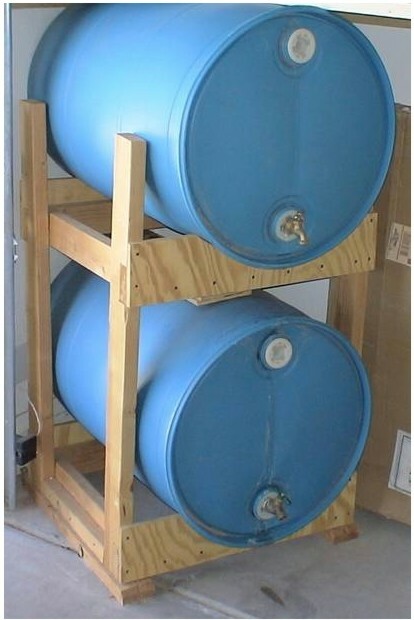 In this post I hope to inspire you and guide you as you work towards building your own food storage. The actual physical space that you have, your family size, as well as your financial situation will be some of the determining factors. The first real tip here is: Store What You Will Eat! You can spend too much time analyzing calories and nutrition content. I think the bottom line here is if you store what you eat on a daily basis, I think you’ll be just fine. Food storage is a basic step to take in order to keep our families healthy.Storing what you eat regularly will also help with adequate rotation of your food storage. If you store foods you’re not eating, they will just sit there and not be rotated. Your food supply should consist of non-perishable food items, pre-made complete meal boxed foods, canned goods, rice, beans, whole grains, flour, salt, seasonings, peanut butter, nuts, evaporated milk, sugar and storable fats, such as olive oil and vegetable oils is a good place to start. Choose a variety of foods and pick ones that you and your family already like. You would be surprised at all the different varieties of rice, beans and noodles you can find. You can shop at Costco or Sam’s, or your friendly neighborhood grocery store. You may have to adjust the quantities. At Costco and Sam’s you can buy larger containers which is more cost effective getting started with your Food Storage. 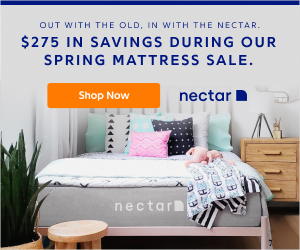 So how much should you buy at first…..This List Should Help. Rice – First off, buy a 50lb. bag of rice. These contain 504 servings and I don’t know too many people who won’t eat rice. It is simple to cook and stores for years if you keep it cool and dry. forever and Sam’s has large containers that hold 108 servings. You can use this in place of sugar to satisfy the sweet tooth. 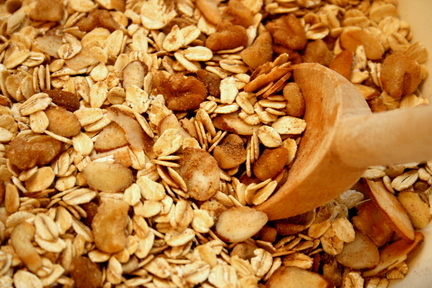 Honey even has medicinal properties and you can use this to add some flavor to your oatmeal for breakfast. We need to learn how to cook with our Food Storage and get our Families use to it so I will be adding recipes through this page to help with that. Combine all ingredients in a bowl and toss well. Chill for at least 1 hour before serving. Remember to have an ample supply of clean water which is a top priority in an emergency. An average person needs to drink at least two quarts of water each day. Hot environments can double that amount. Children, nursing mothers and ill people will need even more. You will also need water for food preparation and hygiene. Store a total of at least one gallon per person, per day. You should store at least a two-week supply of water for each member of your family, according to FEMA. Don’t forget to remember your pet’s needs too. Your furry friends rely on you to feed them. If you’re planning on feeding them just table scraps when the crisis comes – DON’T. There won’t be any. Monitor how much food your pets eat in a given time and prepare for them too. If they have any medications they need – be sure to stock up on them. So how do you know when you have Enough? This will depend on how many people are in your family and how long you want your stock to last. It is easy to turn your basement into your own grocery store but remember, as soon as you put food on your shelf the clock is ticking. Food you buy at the grocery store or Sams Club all have an expiration date. Sure it may be a year or even two but will you use it in time? It is easy to say that you will rotate the food you buy. Great theory but it usually falls apart in practice. We have all found that box or can in the back of the pantry we forgot about and find it years past its expiration date. Buying too much at a time can make it difficult to rotate through it before it expires. Buying in bulk is a great idea and can save money until you start eating the same thing day after day. Or 50lbs of something goes bad or critters get it. Buying smaller packages or dividing your bulk products into smaller packages protects your food stores and limits your risk. If you don’t enough variety, food fatigue can set in fairly quickly if you’re feeding your family rice and beans every night. And I am sure no one really wants to eat MRE’s everyday for a year. Even if you are buying freeze-dried or dehydrated food with a 25-year shelf life, buy smaller lots from several manufacturers to add variety. No matter how good one manufactures food is, eating it over and over will get old. One thing I can suggest that works for me is to ask yourself every time you take an item from your pantry, “Do I have enough of these?” Many times that simple question will prompt me to add an item to my storage. Top 10 food storage mistakes. 1. Having buckets full of grains, beans or wheat, but have never cooked them before. Make sure to practice cooking with your food storage. Also note that if storing wheat berries you will need to have a wheat grinder to make flour. 2. 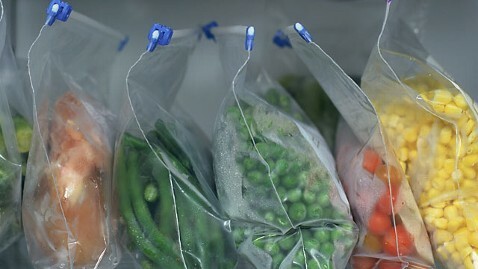 Storing food that your family does not eat. In a stressful emergency time, it will be such a comfort to serve familiar foods. Make a list of favorite foods then begin storing them. 3. Not rotating food storage. Even though some foods can go past their expiration dates, you should try to use your oldest food storage first. A system of putting newer food toward the back of the shelf and rotating the oldest to the front of the shelf will help prevent food waste. 4. Minimal variety of food for a balanced diet. To prevent food burnout it is best to store a wide variety. Try storing many varieties of fruits, vegetables, grains, beans, meats, seasonings and staples. Also keep on hand foods that are freeze dried, canned, dehydrated, MRE’s, and prepared as instant packaged meals. 5. Poor choice of storage containers. Prevention of pests and rodents invading your food storage is key. Using the right food storage containers also prolongs shelf life, nutritional value and taste. Food grade plastic containers, Mylar bags, glass canning jars, #10 cans and even buckets all help to maintain a longer shelf life. 6. Never put all your eggs in one basket. Store dehydrated and/or freeze dried foods as well as home canned and “store bought” canned goods. These varieties will help to balance out your cooking options and even add a variety of textures and flavors. 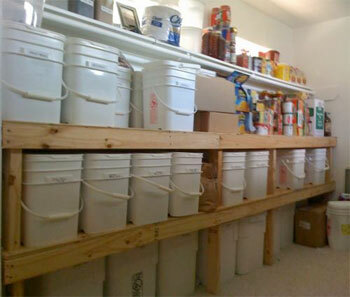 Another take on this point, is to not store all of your food storage in one location. 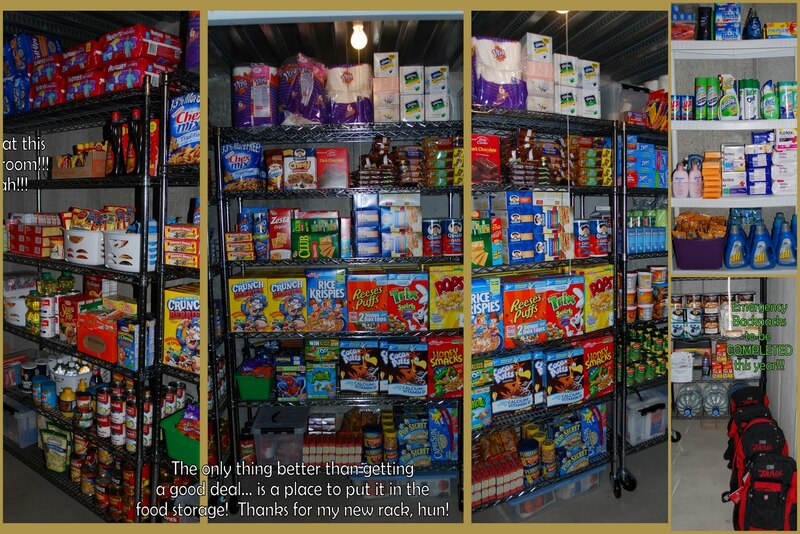 Instead of having all of your food storage in one location, it may be wise to have other hiding locations. False walls, under floor boards, another building on your property, at your emergency bug out location or even a storage facility. 7. Forgetting salt, cooking oil, shortening, baking powder, soda, yeast, and powdered eggs. You can’t cook even the most basic recipes without these items. 8. Not storing water to cook the food. Many food storage meals require water to rehydrate. Pasta, beans and soups all need water for cooking. 9. Forgetting to store spices, salt, oil and basic condiments that are needed for your food storage. How will your famous spaghetti sauce taste without Italian seasoning, salt, olive oil and that pinch of sugar? Beans are a great staple to have on hand and can be seasoned in a variety of ways using salt, cumin, garlic powder, onion powder, soy sauce, ground red pepper and more. 10. Not having an alternative cooking source if the power goes out. 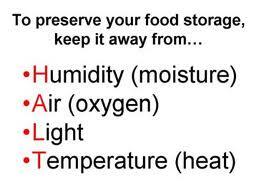 Here is a good food storage guide and keep it where you can refer to it often…. 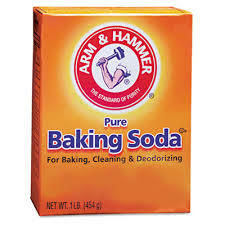 Baking powder: Store in airtight tins in a cool, dry place and replace every 6 months. Beans: Once a package is opened, dry beans should not be refrigerated but stored in an airtight container in a cold, dry, dark place. They will keep for about 1 year. Brown Sugar: Store in a tightly covered container for up to 4 months. Chocolate: Store chocolate for no longer than 1 year. It should be kept in a cool, dry place with a temperature range of 60 to 75F. If the storage temperature exceeds 75F some of the cocoa butter may separate and rise to the surface, causing a whitish color to the chocolate called “bloom”. Dried Fruit: Store unopened packages of dried fruit in a cool, dry place or in the refrigerator. Store opened packages in an airtight container in the refrigerator or freezer for 6 to 8 months. 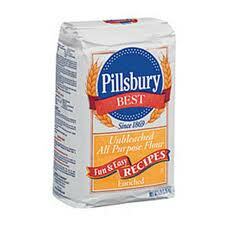 Flour: Store in a clean, tightly covered container for up to 1 year. Garlic: Should be stored in a dry, airy place away from light. Granulated sugar: Should be stored in a tightly covered container for up to two years. Potatoes and other root vegetables: Keep in a dark, cool place, preferably a cellar. Store them in a dark brown paper bag. Shredded coconut: Store in a cool, dry place in an airtight container. Don’t store in the refrigerator. Yeast: Store in the freezer of refrigerator in a closed plastic bag. Never store chemicals in the same room as the food. Organize the equipment that you have on hand and decide what equipment you need to purchase. Some of this equipment could include a Dutch oven, propane cook stove, electric grain mill, hand grain mill, juicer, canning equipment, vacuum sealer and a pressure cooker. Other things to remember: Gather a 3-month supply of any prescription medications you can’t do without, plus any over-the-counter medications you use regularly; store one gallon of water per person per day (minimum three month’s supply); and if you plan to garden, gather any seeds you will need. Some good choices are sweet corn, garden peas, summer squash, banana squash, cucumbers, beets, carrots, cabbage, celery, onions, potatoes, tomatoes and spinach. Boil all the ingredients together just until zucchini and macaroni are tender, about 8-10 minutes, being careful not to over cook. Divide into serving bowls and sprinkle with grated Parmesan cheese. When it comes to food many people have a hard time believing that their supply could be cut off for a prolonged period of time. Look at how those who have several months to a years worth of food storage are sometimes mocked and ridiculed as hoarders. People have gotten so comfortable with a plentiful supply of food because there’s a grocery store within a couple miles of most homes. Probably nothing other than a moderate snow or rain storm has affected their ability to access food. Saute mushrooms in butter until partially softened. Sprinkle with flour and continue cooking for another minute. Pour in the French onion soup and beef chunks with liquid. Stir and simmer until the gravy begins to bubble and thicken. Add salt and pepper as desired. Prepare the instant potatoes per package directions. (Just add water.) Serve hot mashed potatoes topped with beef and mushroom gravy and enjoy! Store your food in a cool, dry place. 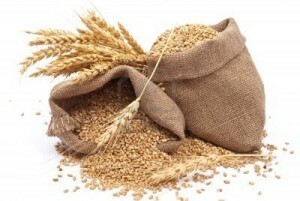 If you are storing shelf-stable food such as cans or buckets of legumes and grains, inside your home works just fine. If the temperature is above 80, it may shorten the shelf life a bit. The cooler, the better. This is why our Grandparents had cool, dark root cellars. If you use glass mason jars, storing the jars on the counter is not recommended because the light will compromise the food. 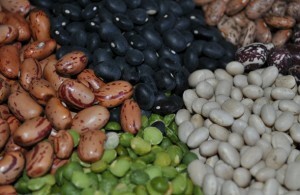 As for moisture, this pertains to your freeze-dried, dehydrated, grains and legumes. With cans, there is always the possibility of rust due to water or moisture. Make sure your dried food is not exposed to any moisture. You can take extra precautions by adding oxygen absorbers and storing in mylar bags. If the mylar bags are sealed, they keep out light and moisture. You can pick up food-grade buckets with lids at any hardware store, or try asking for used buckets at restaurants and bakeries. A good rinsing and you have free storage. 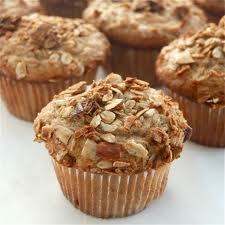 Preheat oven to 300 F. In a large bowl combine oats, wheat germ, coconut, sunflower seeds, sesame seeds and nuts. Blend well. In a large saucepan, combine brown sugar, water, oil, honey, molasses, salt, cinnamon and vanilla. Heat until sugar is dissolved, but do not boil. Pour syrup over dry ingredients and stir until well-coated. Spread into five 13″x9″ baking pans, or cookie sheets with sides. Bake 20 to 30 minutes, stirring occasionally. Bake 15 minutes longer for crunchier texture. Cook. Add raisins or other dried fruit, if desired. Put in airtight containers. Label. Store in a cool, dry place. Use within 6 months. Makes about 20 cups of GRANOLA MIX. Preheat over to 425 F. In a large bowl, combine all-purpose flour, whole-wheat flour, salt and baking powder. 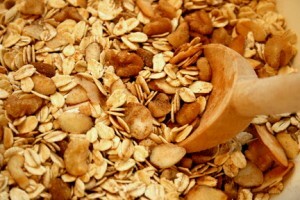 Add GRANOLA MIX and brown sugar. Stir will. In a small bowl, combine egg, milk and oil. Add all at once to dry ingredients. Stir until just moistened; batter should be lumpy. Fill muffins pans 2/3 full. Bake 15-20 min., until golden brown. Makes 12 large muffins. 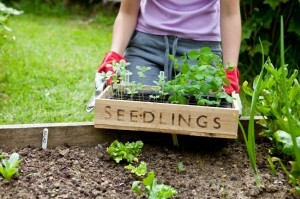 If you have the room you should Grow a Garden. 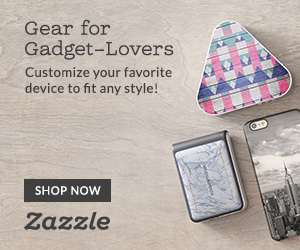 For easy access to fresh produce…. If you don’t have garden space, try using pots to grow vegetables.Whether you choose to grow your own garden and can and dehydrate your food, use coupons to stock up on canned goods, or purchase freeze-dried, I urge you to insure your family’s most basic needs. 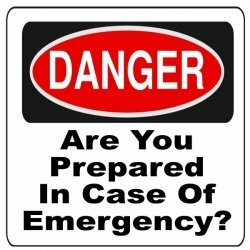 Emergencies happen at the most times when we are never prepared……. Make Sure You Are Always ready! Webster’s Dictionary defines provident as making provisions for the future. 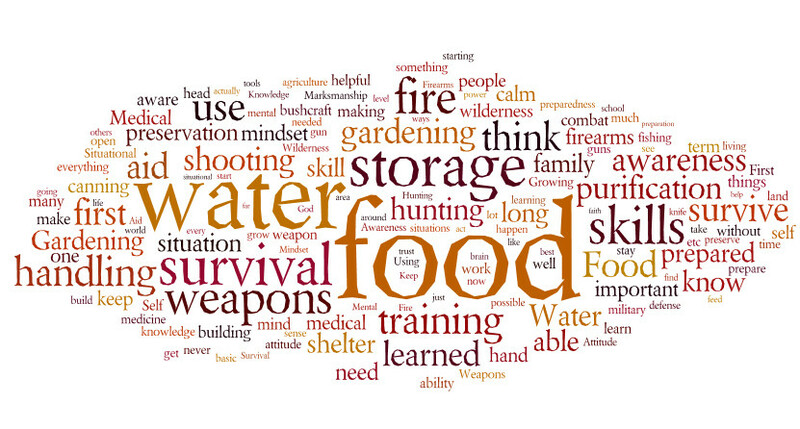 For those of us that practice it, having food storage isn’t just what we do, it is also who we are. Provident living, for whatever your reason, just makes good sense. You purchase car insurance, health insurance, life insurance and homeowner’s insurance. Why wouldn’t you purchase food insurance as well? You may never use any of it, but its there if you need it. It’s really not any crazier than planning for a car accident, house fire or a heart transplant that you may never have. The ONLY difference is that it is not as socially acceptable. Are you going to let that be the thing that stops you?? Remember, it wasn’t raining when Noah built the ark and I’m betting his neighbors laughed at him right up until it started raining. All of these reasons and many more lead me to have food storage and I hope that you too will find a reason to live providently! 2 T oil (vegetable, corn, or canola) plus 5 second spray of Pam or other nonstick spray. Add about 1 to 1 1/2 cups of water, the other ingredients and about 2 cups of ice to blender. Blend on high. You may have to scrap down the sides depending on your blender. Add more ice or water to suit your blender and your preference. 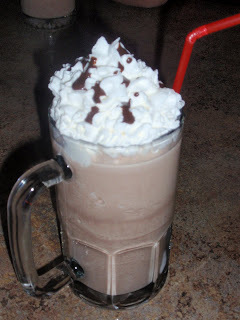 More water makes a thinner shake where as less water with more ice makes a thicker shake. I’m sure you get the idea. Blend for full 2 minutes. If you do not have the oil your shake will just resemble blended ice. The oil aids in the emulsification process and is what gives it the creamy, fluffy texture! Try it with Splenda to make it sugar free.. It is important to remember that you might be without power. Even though commercially canned foods can be eaten without being heated up, you will need to have some type of heat source, such as charcoal for a grill, a camping stove and fuel, or sterno cans, also get a manual can opener, utensils and cookware to keep with your food supply. You will also need to take into account special dietary needs, such as diabetic needs and food allergies, babies, nursing mothers and the elderly may all have special dietary needs. To supplement your food storage, keep 365 multi vitamins per person. Do not eat foods from a can that has become swollen, dented, rusted or corroded. Once you have a good stock pile of food, you can use it in every day cooking. Just remember the Golden Rule- rotate your supply by using the oldest foods first and replace what you use. Check out the GetReadyGetSafe interactive U.S. Disaster Preparedness Map: Is Your State Ready? Disasters Happen It is How We Prepare For Them That Makes The Difference. Here is a printable 3-month food storage plan for one adult.